Global Ambassadors are Mudd students who have already been abroad. They are looking to connect you to study abroad resources and share their study abroad experiences. 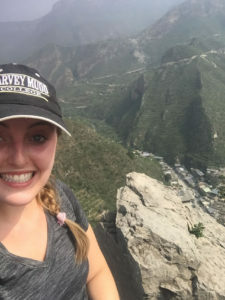 Studying abroad allowed me to make a lot of progress learning a new language, meet many wonderful new people, and push myself out of my comfort zone. It also gave me some time and a fresh context away from Mudd to really reflect on my experience and think more about the things I appreciate at Mudd as well as what I can change. Studying abroad was an incredible experience, and I’m so happy I chose to do it! I found the GAs to be really helpful as I decided where I wanted to study abroad as well as while I was preparing for my semester. As a result, I’d like to give back in this same role. I’m also excited for the chance to reflect on and share more about my experience abroad! I studied abroad to experience engineering in another culture. My mom is from London, and I wanted to see where she grew up. I was lucky enough to live in London while continuing my engineering degree by studying at Queen Mary University of London. I had never traveled outside the country, but I knew that I wanted to live on my own and discover English culture. I spent lots of time exploring London, visiting the museums and coffee shops. There was always something to do, I don’t think I was ever bored! I met lots of people, both in classes and through extracurriculars. 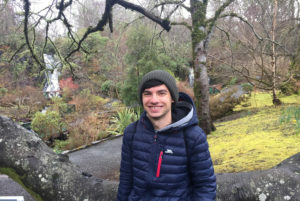 I wanted to study abroad to experience how different cultures teach engineering. It was really valuable to take some of my core engineering courses abroad, and I really enjoyed being exposed to different learning styles. I want to be a GA to help other Mudders make the choice to explore the world! It can be hard to make the decision to go abroad. Mudd is a close-knit community which is difficult to leave, especially when you only have four years of undergrad to enjoy it. However, studying abroad is a unique opportunity to explore the world, and I am so glad that I went abroad! I want to share my experiences with underclassmen and show that it is possible to travel to other countries without falling behind at Mudd. I’ve always wanted to see the world—and, more than that—live and experience world cultures for myself. Studying abroad gave me these experiences, and so much more! It was the adventure of a lifetime, the opportunity to both gain perspective on my life at home and become an independent explorer ready for any new experience. 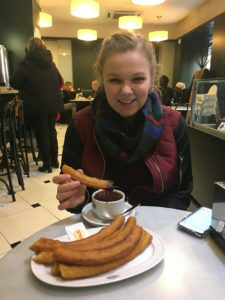 Living in a European metropolitan city was the best experience of my life—a combination of hiking and mountains in the Madrid area; world-class food, pastries, cafes and bars; public transportation and walking on the old cobblestone; the city itself, a combination of what’s trendy and modern with the historical and ancient. I love to travel and go on adventures, and I study abroad has taught me how to continue doing that for the rest of my life. 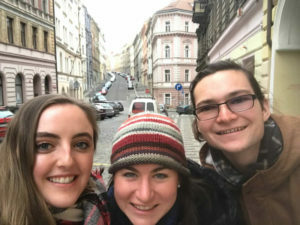 Studying abroad at AIT Budapest was amazing! I was able to meet students from all over the US in an intimate setting. The opportunity to go to Budapest left me with memories that I will never forget and friends from all over. It widened my view of Eastern Europe and how people from various backgrounds interact on the other side of the world. Additionally, from trying out really cool activities like teaching local children computer science, I was able to learn about how institutions and systems operate in other countries such as how children are educated in Budapest. 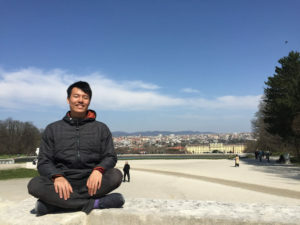 The thoughts and ideas that I have obtained from going away to Budapest have helped me understand how I want to integrate myself into my local and global community. As a global ambassador, I want to share my stories and memories with other Mudders. The insights, friendships, and experiences I have gathered are ones that I will cherish forever, so I want to encourage students to study abroad and make their own unforgettable experiences. I want to become a Global Ambassador to help other people realize the world is full of opportunities to try something new, something that just can’t be found at Mudd, in Claremont, or even on this continent. I know from personal experience that the study abroad process can seem daunting and time-intensive, and that some sacrifices are required. But I also know that the experience is wholly worth it, and my goal as a GA would be to help fellow Mudders discover the same. I had amazing study abroad experiences, and I want to encourage other Mudd students to step out of their comfort zones and study abroad. I think the majority of Mudd students would benefit from studying abroad, and I can’t wait to share my experiences with them. Being away from Mudd for the semester gave me time to reflect and grow in ways I hadn’t been able during my busy semesters at Mudd. I’m returning from studying abroad with a refreshed perspective on college, and I’m excited to enjoy the rest of my time at Mudd this coming year. I’m so glad I decided to go abroad because I learned so many life lessons, made some lifelong friends, and got to travel to so many cool places. It’s crazy to think I almost didn’t go! I hope that I can help other Mudd students better navigate the process and explore the options for studying abroad at Mudd. Study abroad might have been one of the most important experiences in my life. Academically, my Chinese language skills improved enormously. 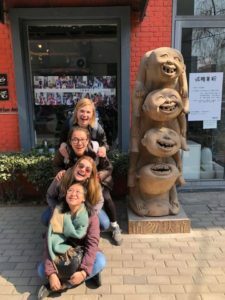 There is no better way to learn a language than immersion, and since Kunming is a “smaller” city in China with far fewer English speakers you are really forced to speak Chinese a lot of the time. Culturally, I learned an incredible amount. Yunnan is the most diverse province in China with 26 ethnic groups, and we learned about a number of them in-depth. Possibly the most meaningful part of my experience was my Independent Study Project, where I lived with only two of my study abroad peers in a culturally Tibetan part of Yunnan. During this I spent eight hours a day learning about the Tibetan Buddhist art form of thangka painting, and in the end even created my own. We also befriended a reincarnated lama who taught us about Tibetan Buddhism in exchange for English lessons. Through this intense immersion I learned a lot about an amazing culture and even about myself, and this inspired me to try to be a better person in my everyday life. b) I want to be a Global Ambassador so that I can tell people that they should DEFINITELY study abroad! Particularly, I really would like to spread the word about my program because the content, culture, and faculty/staff were amazing. 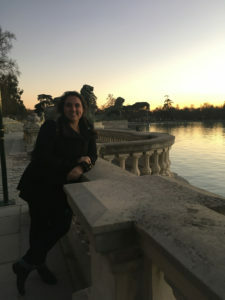 My study abroad experience is definitely something I will remember and cherish for the rest of my life, so I’d like to help others who are interested have similar valuable experiences. 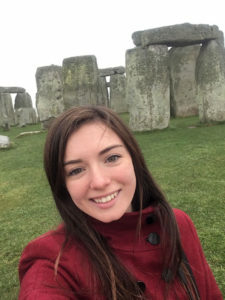 Study abroad was important to me because I got to make friends from other countries, practice real life language skills, and see how differently things run in other countries. It literally and broadened the horizons of places I had traveled to and my knowledge of European culture, economics, government policy, etc. It’s also super fun and gave me a good chance to travel because who doesn’t love going to new places for the price of a bus or train ticket. I want to be a GA because I want to help the younger students have as much fun as I did with less of some of the struggles. If I made some mistake and found some great travel gems doesn’t it seem right to pass those on 🙂 so someone can have an easier time. I had such a fun time that I can’t wait to share all the stories and crazy times I had. Coming from China, my experience in the US has been extremely rewarding with many unexpected insights into my values and ways of thinking. Therefore, I know I can’t possibly let go this chance of studying abroad again. Studying in a big, prestigious university has also charmed me with a bit of intimidation since I’ve only lived in small communities, from my boarding high school with 90 others to Mudd. 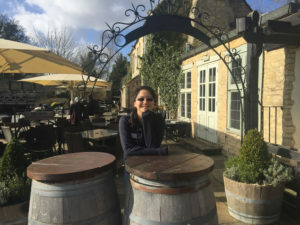 I spent my spring 2018 semester at St. Edmund Hall, Oxford University in UK studying Chemistry and Materials Science. It’s been a real privilege to study in the oldest institution in the English-speaking world, surrounded by beautiful architectures and an extremely international community. Studying abroad is full of surprises. I ended up with friends that I would never be able to meet otherwise, and my time there had also been much more academically rewarding than I was ever expecting. I’d love to help others sorting through the emotional uncertainties and the intimidating process to set off for one of the most memorable semester / year!